I am extremely disappointed that the Education Minister has decided to close Redburn Primary school which will shut its doors at the end of the June 2012. Rather than prioritising delivery of the new Holywood Schools project he has taken a short sighted approach and followed in the footsteps of the SEELB unelected Commisioners who first came up with the closure idea. 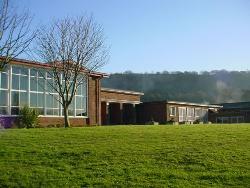 Redburn Primary School is a valuable part of the local community and will be missed. With the decision now made I hope Education authorities will explore opportunities for the school site to be used by the local community rather than being allowed to fall into disrepair. I have also written to the Education Minister to ascertain the status of Holywood’s long awaited new Schools Scheme. The scheme was previously designed to deliver new premises for Holywood Nursery, Holywood Primary, Priory Integrated College and Redburn Primary with Redburn and Holywood Primary Schools merging together on one new site. why wud u be dissapointed its a terrible school anyways! name someone whos recently came from that school into a grammer school it used to be a good school fifty years ago but al those children from the barracks have ruined it!im glad its closing down something actually useful will take its place i hope! i used to love this school when i was a child! its sad to see it go but im glad its a waste of space ! i hope they build an old folks home for me and my husband to live in !